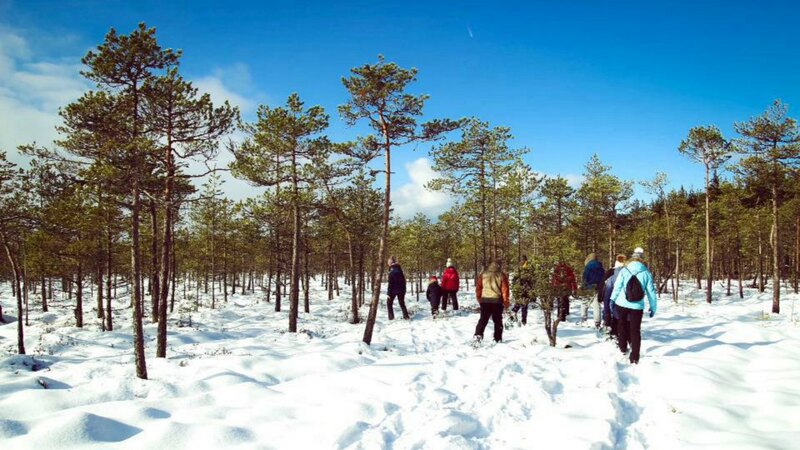 The snow shoe hikes take place in the most picturesque bogs in South-Estonia. The snow shoe hikes take place in the most picturesque bogs in South-Estonia. The hike is a perfect chance to get to know the bogs better. . The bogs are full of surprises in every season and the snow shoe hikes are not dependant on weather. 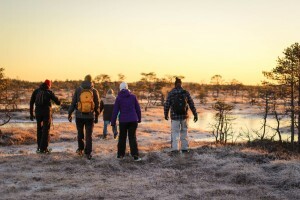 In autumn the bogs are red with cranberries, in winter you will see many animal trails and get a chance to skate on frozen bog lakes. In spring the bogs are painted white when the plants come into bloom and in summer the bog will strike you with its variety and beauty. In spring the bogs are painted white when the plants come into bloom and in summer the bog will strike you with its variety and beauty. We offer hikes to the Valgesoo bog and Meenikunno bog, which are all located within a 30 minute drive from the Taevaskoja Holiday Centre. How much does a snow shoe hike cost? 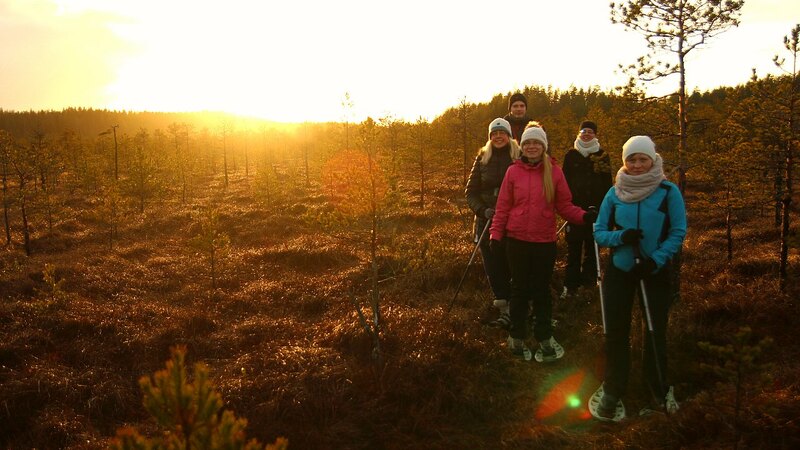 The snow shoe hike with a guide and all the necessary equipment costs 20€ for an adult and 15€ for students.